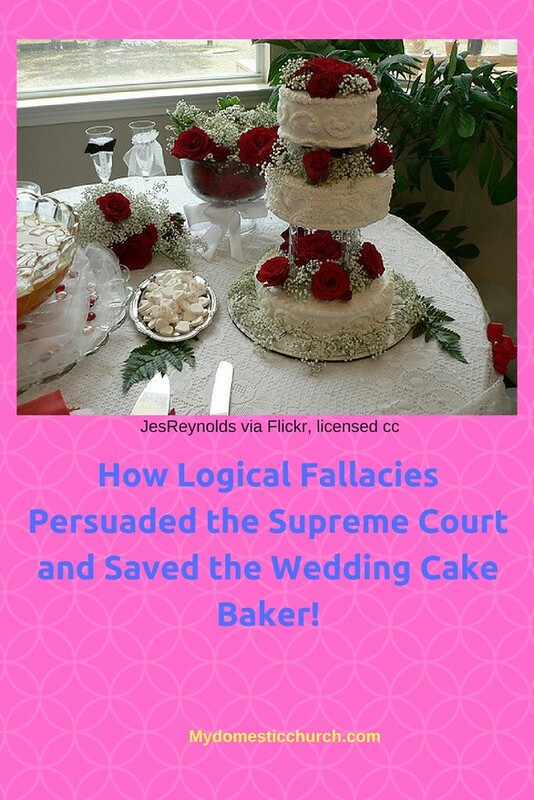 The long-awaited Supreme Court Decision about the Christian cake baker and the right to decline to make a cake that violates his religious beliefs was announced yesterday. There were a couple of surprises with the decision. First, it was a 7-2 vote. Usually, hotly contested cultural decisions that come out of the court are more evenly divided with Justice Kennedy being the swing vote. What was even more surprising to me was that Justice Kennedy actually wrote the majority decision! After reading the decision it all became perfectly clear. Justice Kennedy appears to be a man tortured by his Catholic past. He knows what is right and wrong, but he constantly struggles with Catholic teaching as he strives to hang with the cool kids on the left. It has always been his weakness, his Achilles Heel and the constant thorn in his side. Even when he succumbs to his well-formed conscience he can't quite give in all the way. And that's what happened yesterday. He knew that baker was being persecuted and he knew how important this case was. But he also wanted to persuade some of his liberal judges to join him in this. To do that apparently, he couldn't make this a sweeping, life-changing decision. He had to make it as narrow as he possibly could so that it would affect as few cases going forward as possible, and so that he could get some of the liberal judges on his side. Maybe he just didn't want to be the swing vote this time. I don't know. That's what it seems like to me. That kids is what we call a false analogy. Refusing to bake a wedding cake is not the same as slaughtering 6 million people. It was such over-the-top rhetoric as to also get into the reductio ad absurdum fallacy as well. And that's what Kennedy honed in on. In the bottom line it was that statement that clearly showed the hostility to religion that Kennedy et al used to rule in favor of the baker - but only this baker. This was not a sweeping victory for religious freedom, nor was it an endorsement of gay rights as civil rights. What that means for the rest of is is that there will be continued challenges and showdowns in the years to come. Here is a good analysis of this.